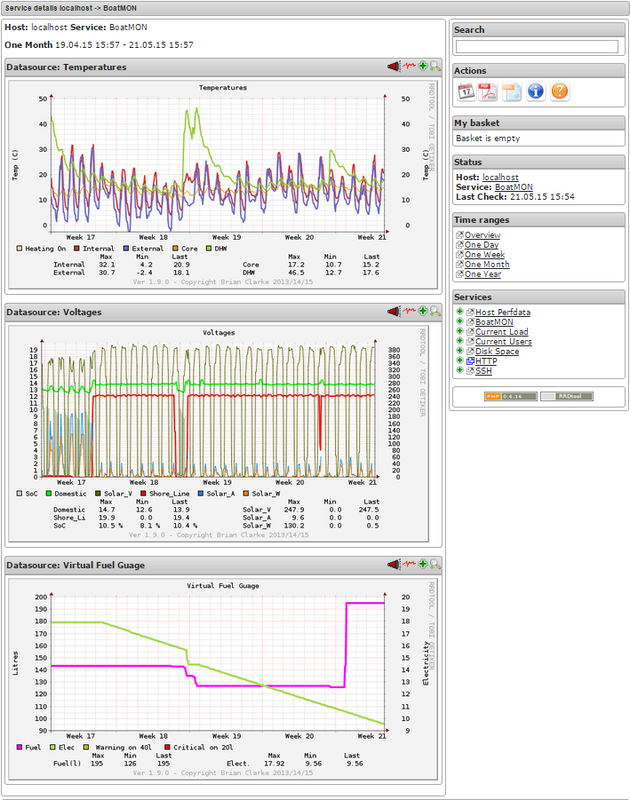 See the state of your critical systems at a glance. ...and get them emailed straight to you smartphone! 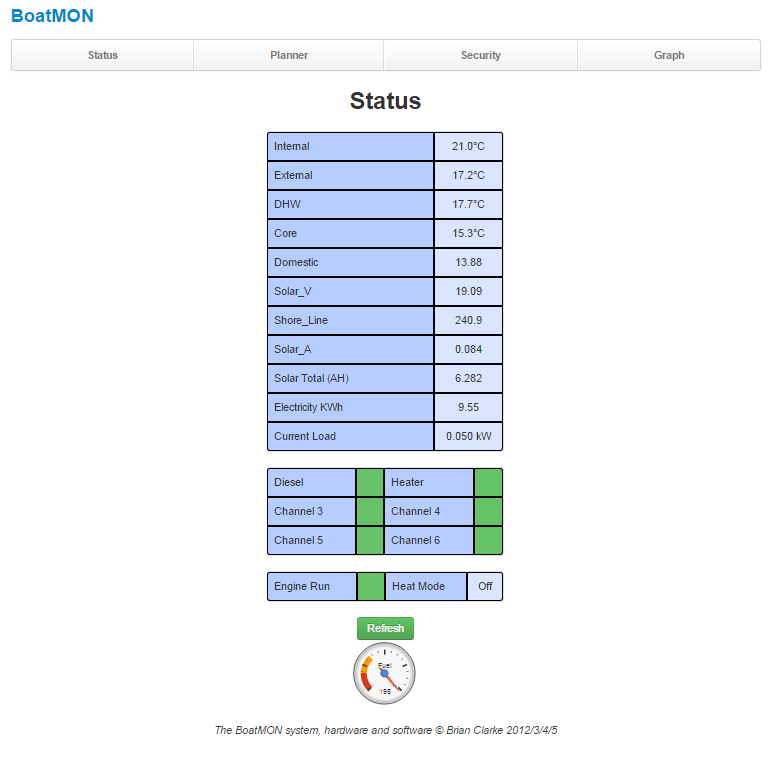 As well as giving you a Real Time display of things BoatMON also records your data over a 12 month period allowing you to spot long term trends such as declining battery performance or check fuel usage. With the optional Solar Monitor you can see how your solar panels perform over a whole season. The graph module provides additional information on your battery's state of charge and also calculates your solar panel's output wattage. By using this data BoatMON can turn on your diesel heating system to prevent excessive cold freezing you water pipes eliminating the need for 'Winterizing' your boat. More details of the heating control system can be found here.